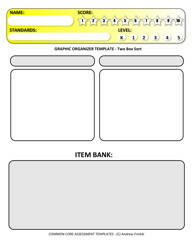 These are 4 different forms to sort terms or ideas into boxes. They come in 2, 3, or 4 box versions. 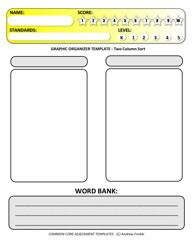 These are 4 different forms to sort terms or ideas into columns. They come in 2, 3, or 4 column versions. 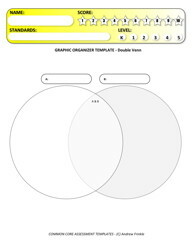 Sort items into these double venn diagrams. One version allows you to explain what goes where and why. 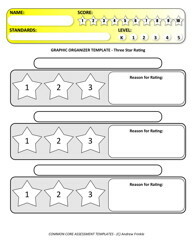 These are 3 different forms to rate something, like a paper, a performance, or a task. They come in 3, 4, or 5 star versions. 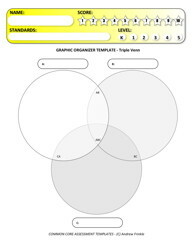 Sort items into these triple venn diagrams. One version allows you to explain what goes where and why.